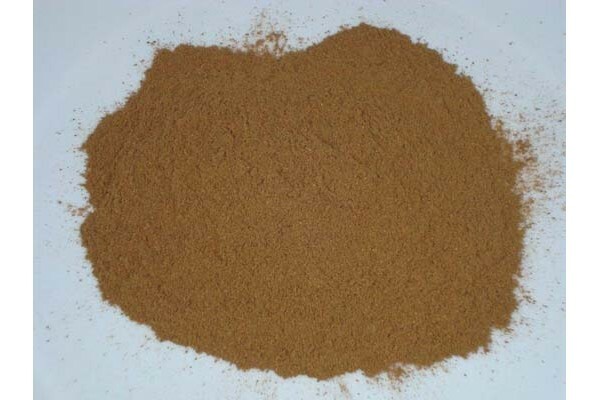 The finest quality Ground Cinnamon (Ceylon). Though its source was kept mysterious in the Mediterranean world for centuries by the middlemen who handled the spice trade to protect their monopoly as suppliers, cinnamon is native to Sri Lanka. It was imported to Egypt as early as 2000 BC. Cinnamon bark is widely used as a spice. It is principally employed in cookery as a condiment and flavoring material. It is used in the preparation of chocolate especially in Mexico which is the main importer of true cinnamon. It is also used in the preparation of some kinds of desserts such as apple pie donuts and cinnamon buns as well as spicy candies tea hot cocoa and liqueurs. True cinnamon rather than cassia is more suitable for use in sweet dishes. In the Middle East it is often used in savory dishes of chicken and lamb. In the United States cinnamon and sugar are often used to flavor cereals bread-based dishes and fruits especially apples; a cinnamon-sugar mixture is even sold separately for such purposes. Cinnamon can also be used in pickling. Cinnamon bark is one of the few spices that can be consumed directly. Cinnamon powder has long been an important spice in Persian cuisine used in a variety of thick soups drinks and sweets. It is often mixed with rosewater or other spices to make a cinnamon-based curry powder for stews or just sprinkled on sweet treats. However the plant material used in the study was mostly from cassia and only few of them are truly from Cinnamomum zeylanicum (see cassia's medicinal uses for more information about its health benefits). Cinnamon has traditionally been used to treat toothache and fight bad breath and its regular use is believed to stave off common cold and aid digestion. Cinnamon has been proposed for use as an insect repellent although it remains untested. Cinnamon leaf oil has been found to be very effective in killing mosquito larvae.